The family of Jason Washington has demanded that the rest of the Campus Safety force disarm. The family of a man gunned down outside Portland State University demands that administrators fire the campus cops involved and retrain the rest of the force to "deal with conflict without the use of weapons." Jason Washington, 45, was killed outside a sports bar during the early morning hours of Friday, June 29 after his lawfully carried firearm apparently fell from his holster and two sworn officers with the Campus Public Safety Office opened fire. Witnesses say Washington was attempting to break up a scuffle. 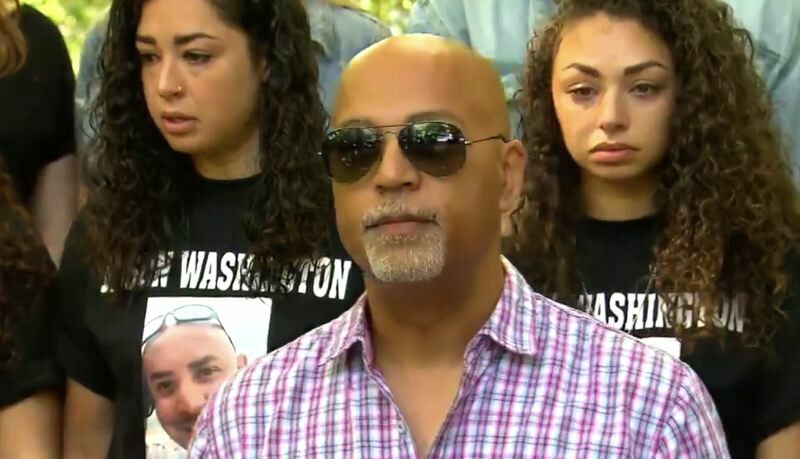 "Split-second decisions made by poorly trained, inadequate and over zealous campus police caused our family — and our community — to lose a wonderful human being," said Andre Washington, Jason's older brother, during a press conference on Friday, July 6. "They did not follow protocol and panicked," Andre Washington said, adding that Jason was "the one and only person trying to keep the peace." For its part, Portland State has placed officers Shawn McKenzie and Patrick Dewey on paid administrative leave and has stated it will cooperate fully with the investigation by the Portland Police Bureau into the shooting outside the Cheerful Tortoise bar. Portland State University will hire some sort of firm, which it claims will then conduct an investigation untainted by bias. "PSU is moving forward quickly to appoint an independent agency to conduct a top-to-bottom investigation and evaluation of this incident as well as our policies and procedures," according to a PSU statement. "We strongly believe that an outside assessment will help provide answers we all have about security. The university plans to announce more details as they are finalized." Andre Washington described his brother as a supporter of the Second Amendment, a supporter of the police, a postal worker, a father to three daughters, a husband and as a grandfather to a 5-year-old. "Jason Washington could light up a room with his infectious smile, and bring calm when called for," Andre said. "The community knows Jason Washington, whether he coached your basketball team, attended your church, delivered your mail or walked alongside you in a 5K community walk." He said his brother's death "will not go unnoticed or unattended." "Black men being gunned down by white police officers is an affliction in America," he said. Portland State University's police force started carrying guns just a few years ago.